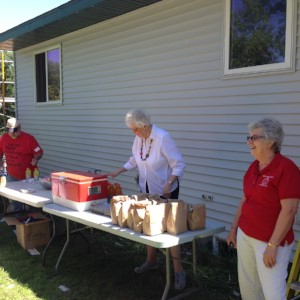 We rely on hundreds of volunteers every year to carry out our mission. 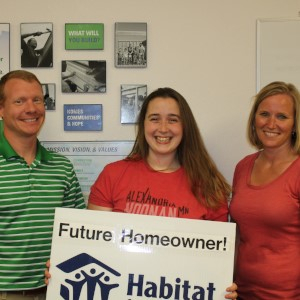 Be part of stabilizing housing for Douglas County families by helping with everything from construction to office tasks, to serving on committees and providing food for volunteer teams. Find the volunteer opportunity that is right for you! There are many volunteer opportunities on the build site including: framing, trusses, insulation, poly, sheetrock, windows, doors, interior trim, painting, landscaping, and more! We also need volunteer who serve as site hosts and devotion leaders. 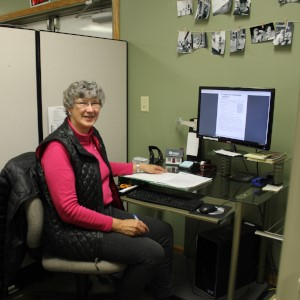 Office volunteers perform a wide range of activities including: reception, filing, mailings, phone calls, cleaning, special projects, and more! Habitat provides snacks and treats to the construction volunteers while they are building, and we are always in need of a batch of cookies, bars, muffins, or other tasty treats. Groups also LOVE when lunch is provided, so if you have a team interested in cooking a meal we'd love to hear from you! 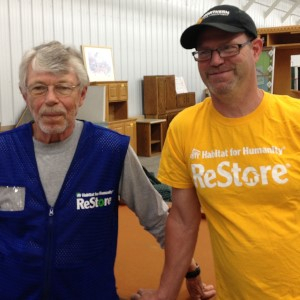 The ReStore depends heavily on volunteers to help cashier, work the sales floor, take donations in the back room, serve on the pick up crew, and more! Our committees include: Homeowner Selection, Construction, Development, Homeowner Support, and Volunteer/Faith Relations.